The girls’ unit in Ann Arbor has been a blessing again this year. The Lord has smiled on the willingness of the young sisters and the house parents as they have given their time at the University of Michigan Health System. This unit has six girls, with two arriving and two leaving every other month. Their work includes volunteering at the gift shops, taking a beverage cart around, helping patients find the location they are looking for, doing the mail route for social services, putting together patient information folders, taking the candy cart around to different waiting rooms, and screening prospective part-time volunteers for the hospital. The girls work full-time in the volunteer department. 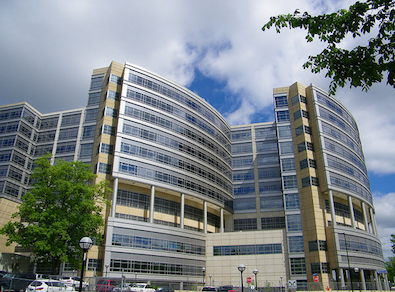 Because Ann Arbor is a university town, there are many students who volunteer part time at the hospital. Of special note is the weekly singing they do on different floors for patients and their families, some of whom are facing terminal illness. They also sing at nursing homes and at the Ann Arbor Guest Home. The house parents at the unit are Greg and Rita Eicher. We are very thankful for the time and effort they are giving, and may God continue to bless them and the girls as they unselfishly serve mankind. The house parents at the unit are Greg and Rita Eicher. This unit has six girls, with two arriving and two leaving every other month.